The computer-printed Portrait of Edmond Belamy earned nearly 45 times its high estimate when it went under the hammer at Christie’s in New York. The sale marks the first time the historic auction house has sold any piece created by artificial intelligence. The sale of the print to an anonymous bidder for $432,500 US is also notable because the portrait was only expected to fetch a maximum of $10,000 US. The work was developed by an art collective called Obvious, three 25-year-old French students. 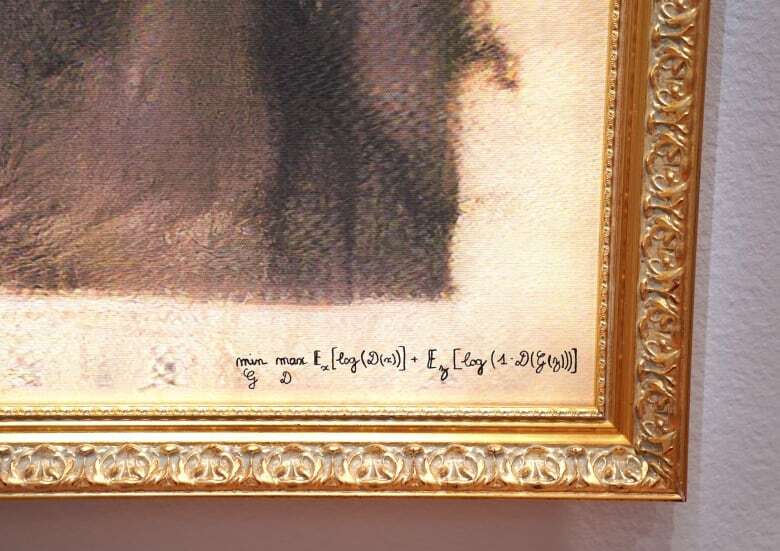 The portrait is a dark and blurry image of what appears to be a historic painting of a gentleman, in a gold frame, complete with a signature that’s not a person’s name, but rather a small bit of the code used to create it. The algorithm is called GAN, (Generative Adversarial Network) and has two parts. The first, the generator, spits out images based on a very large bank of portraits fed to it. For Portrait of Edmond Belamy, 15,000 historical portraits were inputted into the system. The second part, the discriminator, tries to figure out which images are human made and which are AI created. The Belamy was one of the portraits that fooled the computer into thinking it was human generated. The collective has created a total of eleven portraits, as part of a fictional Belamy family series, all with the help of AI. 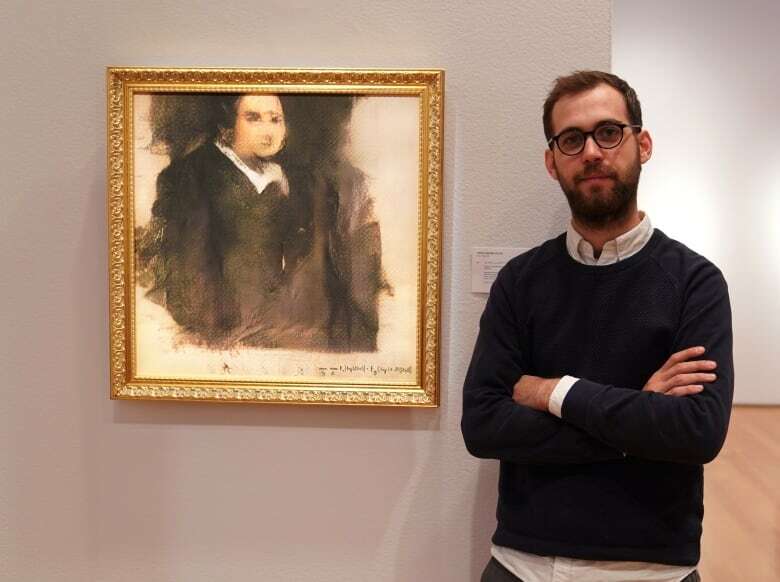 The selling at a major auction house of a work generated using AI raises many questions about art that AI researchers are just starting to grapple with. Who should get the proceeds of the sale, if, as in this case, part of the code used was actually created by someone else? The Obvious collective acknowledges they borrowed the algorithm of Robbie Barrat, a 19-year-old artist and programmer, however, he’d shared his work online as open source code. However, the money is going to Obvious, not Barrat. “The proceeds from the recent and forthcoming sales will be used to further the collective’s research into training its algorithm and to finance the computation power needed to produce this type of artwork,” a Christie’s spokesperson told CBC News. In addition to assessing the value of the art, there are also concerns about whether an image created by AI should truly be considered art. What about if a human audience can’t tell it was a machine that created it? Or, if humans feel inspired by machine made works – does it then qualify as art? In any case, this big, flashy sale has blasted all these discussions out of the world of AI computer labs, and out onto the world stage to consider and debate.